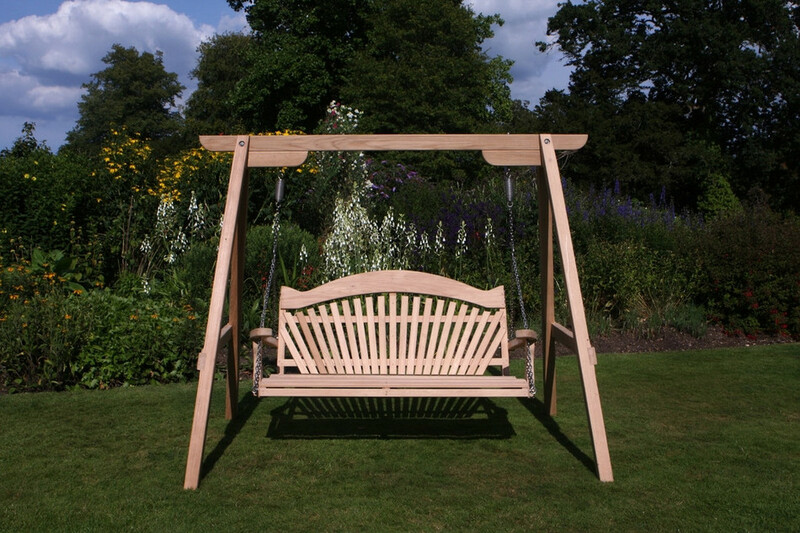 Precision joinery combined with quality Oak come together in the Tranquillity Swing Seat to offer a long lasting, classic and very comfortable garden swing. 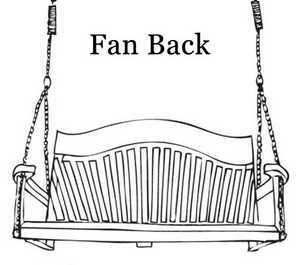 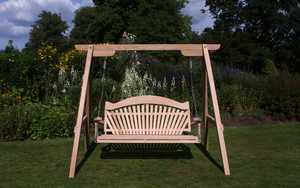 This range of garden swing seats encompasses the beauty and durability of FSC Oak. 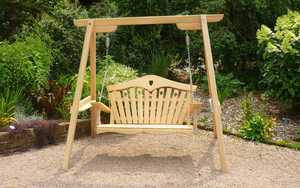 When you first take delivery of a Tranquillity the wood is a warm golden colour that over time weathers to a soft silver. 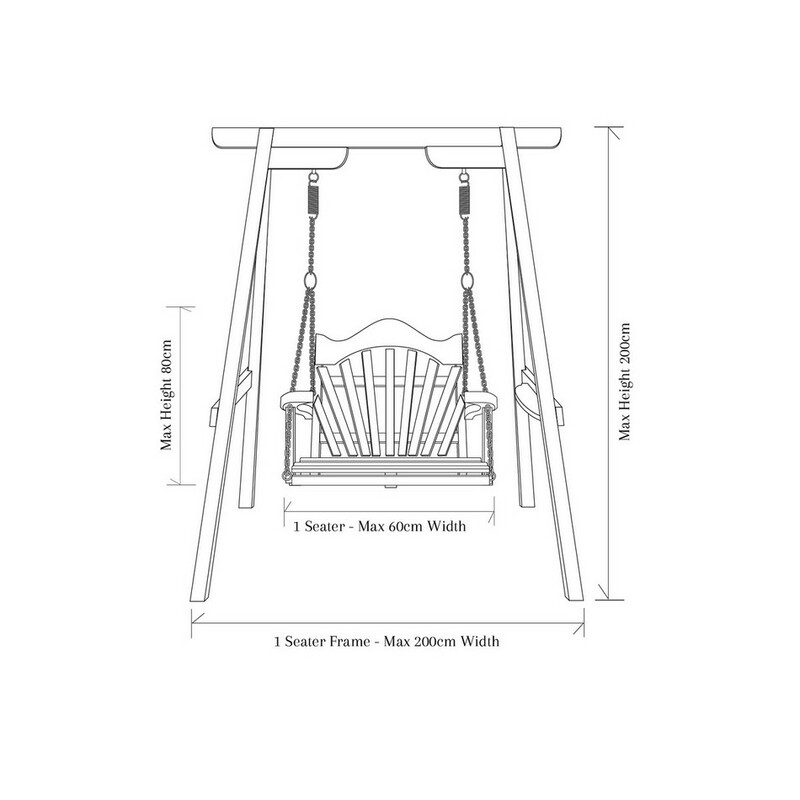 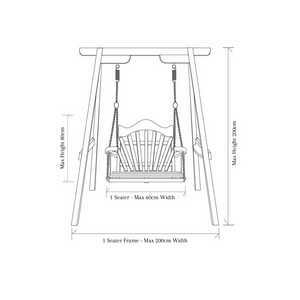 We use seasoned FSC Oak which has bags of character and means each swing seat is truly one of a kind. 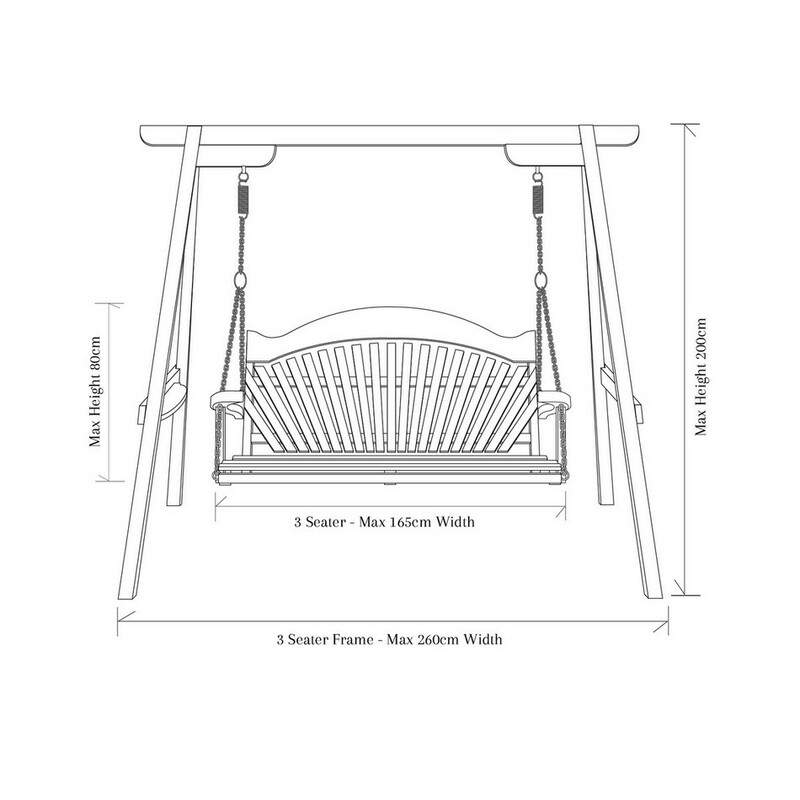 The Tranquillity was originally influenced by the need for a choice of back and arm styles and to harness comfort within a classical design. 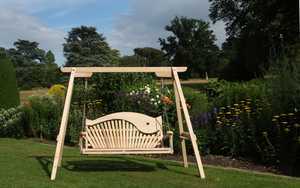 We use Kiln dried FSC prime grade Oak grown in Northern Germany near the Polish border; it’s slower grown and therefore harder and more durable than Southern European and UK Oak. 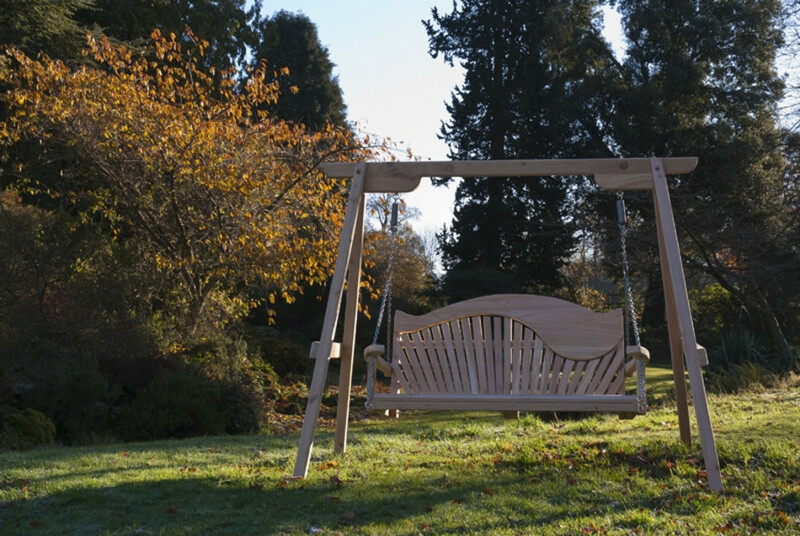 When you first take delivery of a Tranquillity the wood is a warm golden colour that over time weathers to a soft silver. 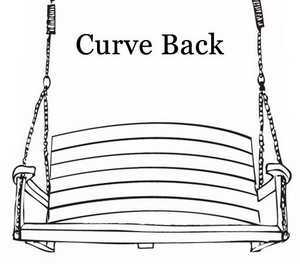 It requires no further treatment. 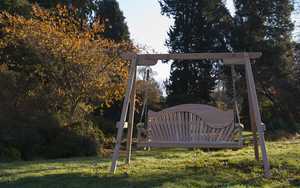 The Tranquillity swing bench also looks great as a seat only option hanging from a tree or other structure. 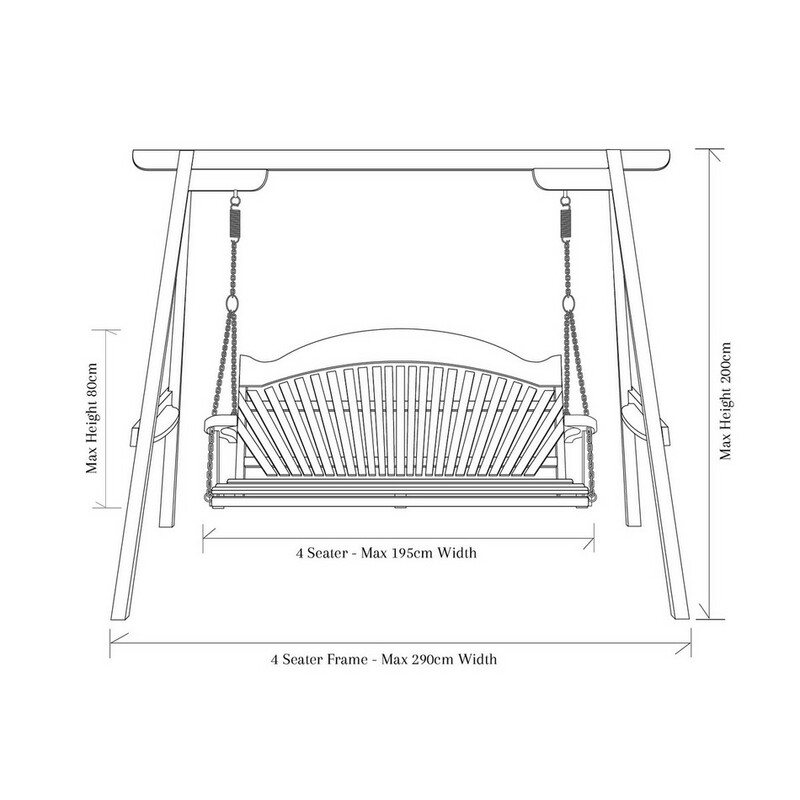 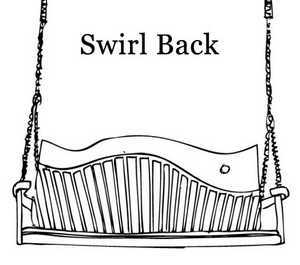 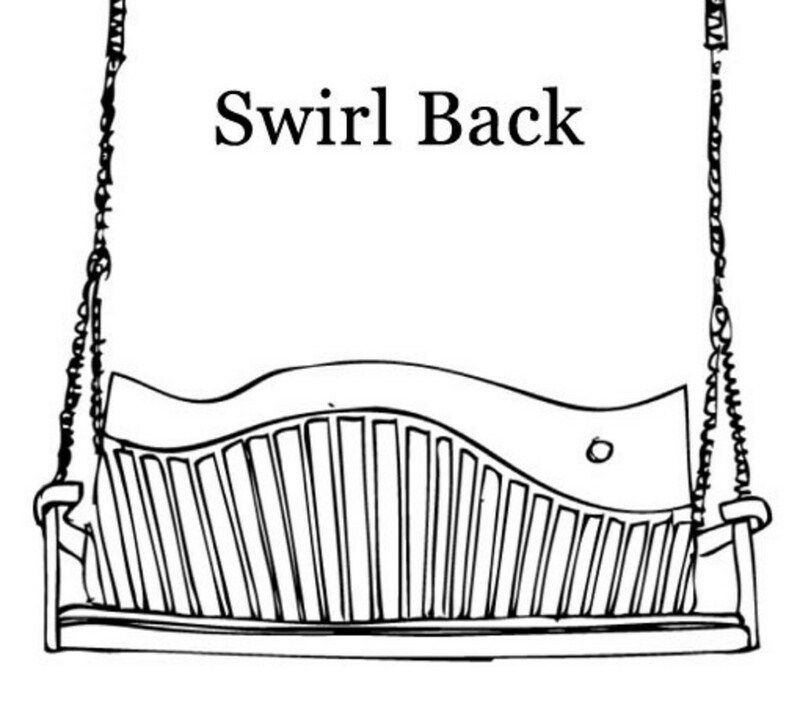 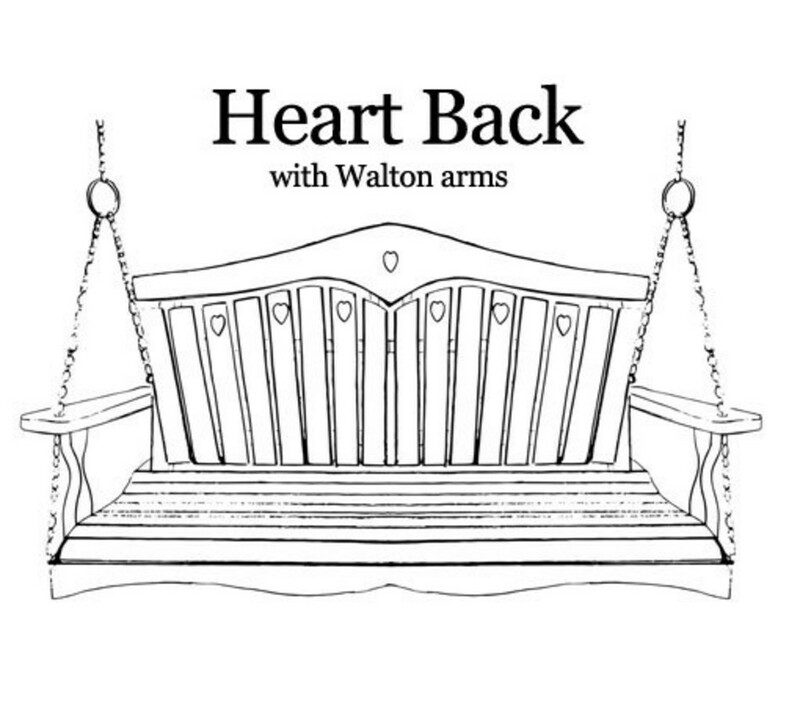 Our Tranquillity garden swing seats are available with any of our five back designs, and as a one, two, three or four seater. 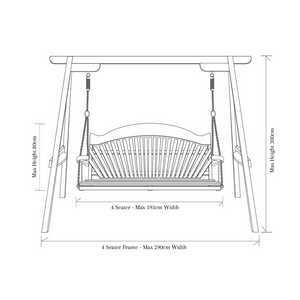 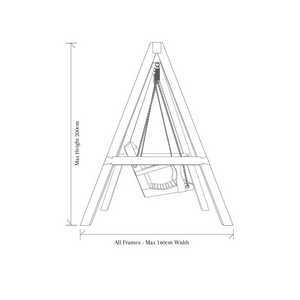 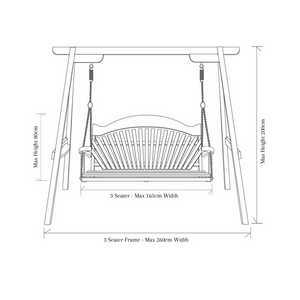 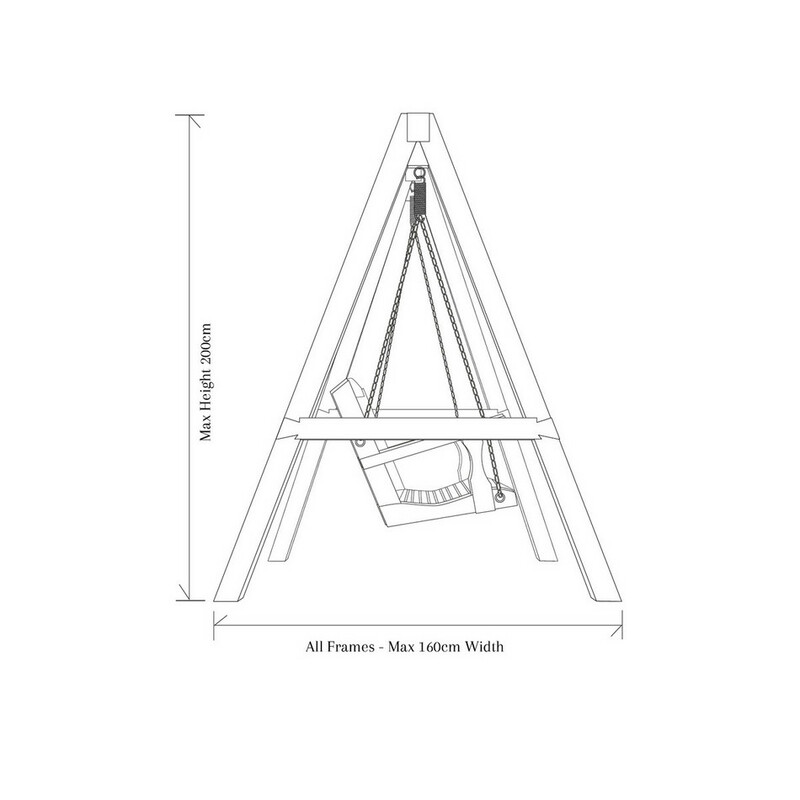 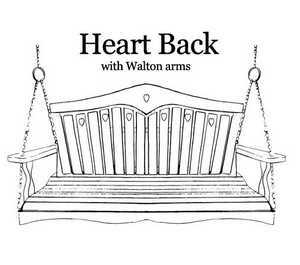 You can commission a garden swing bench order directly through our website. 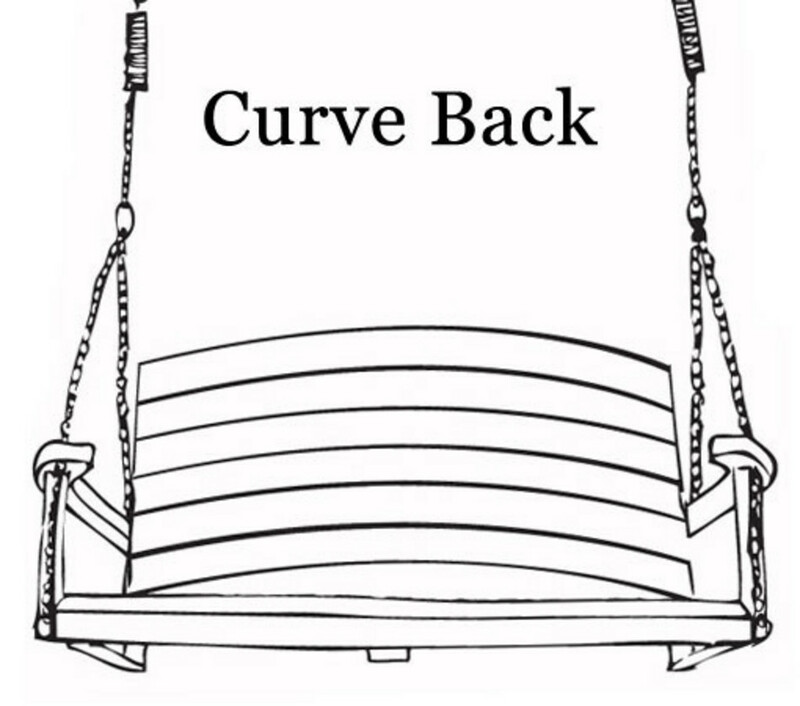 Simply click the button below and choose your options. 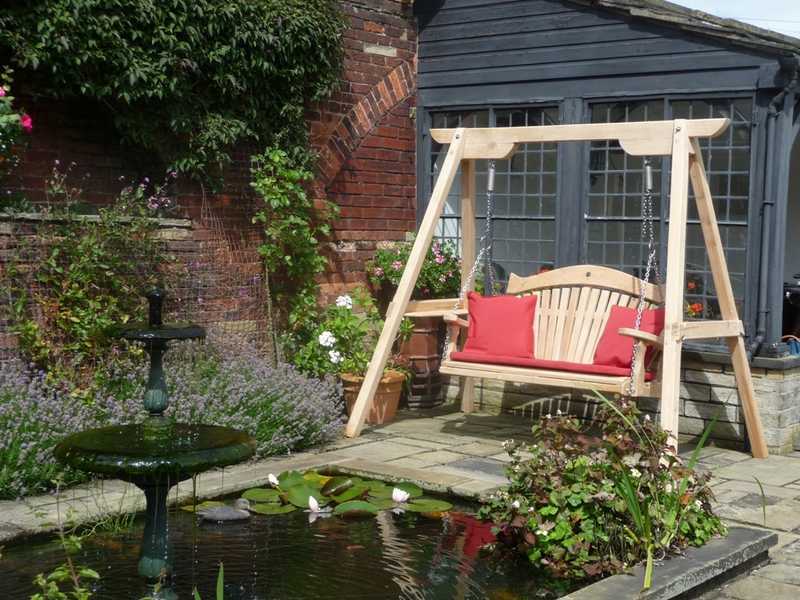 You can rest assured we will always get in touch with you to confirm the options you've selected and discuss any personal ideas. 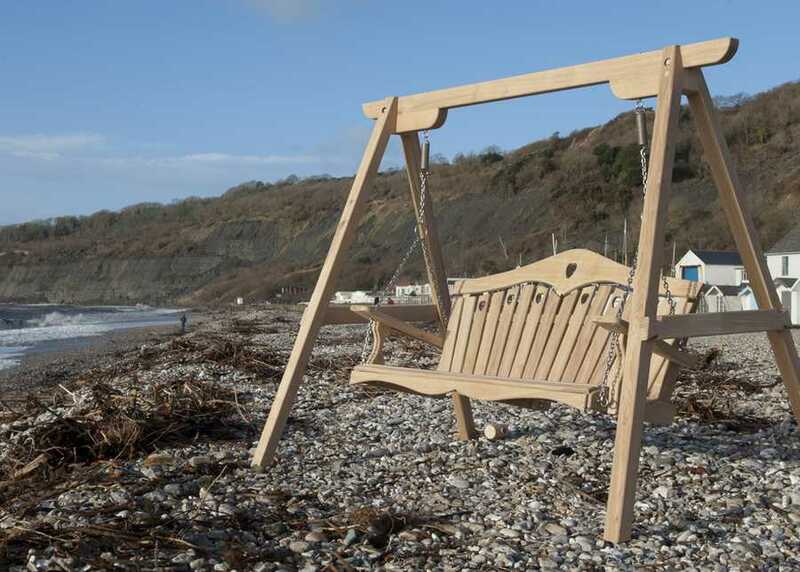 Flexible finance options mean you can pay for your Tranquillity Swinging Seat over 12 months with absolutely no interest. 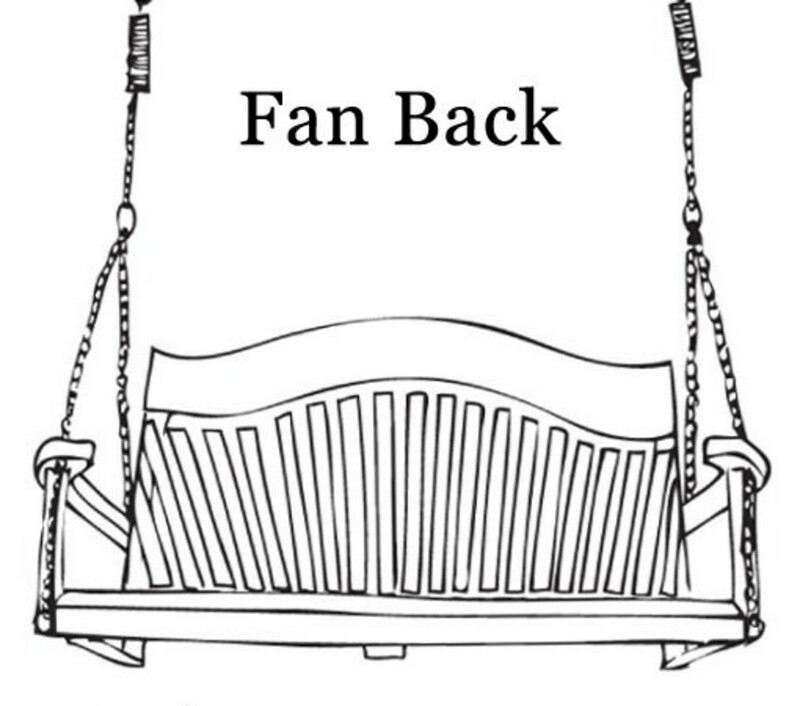 "The balance is perfect, a gentle push and the seat continues to swing for several minutes"
Dear Martin, Just a short note to say thank you for producing such a wonderful seat. 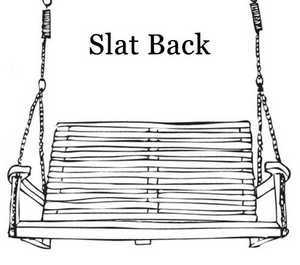 My wife was delighted with it. 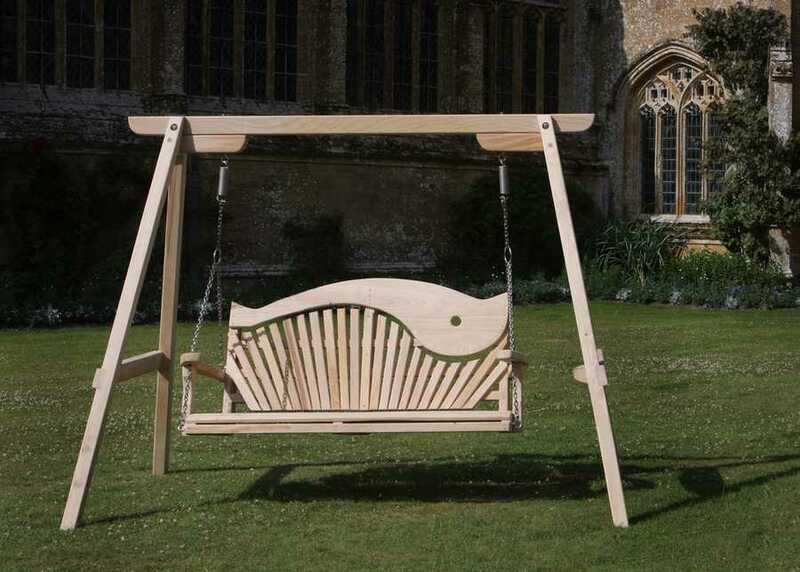 There is no doubt that the Pimms tastes better when sipped gently swinging on a beautiful oak seat. 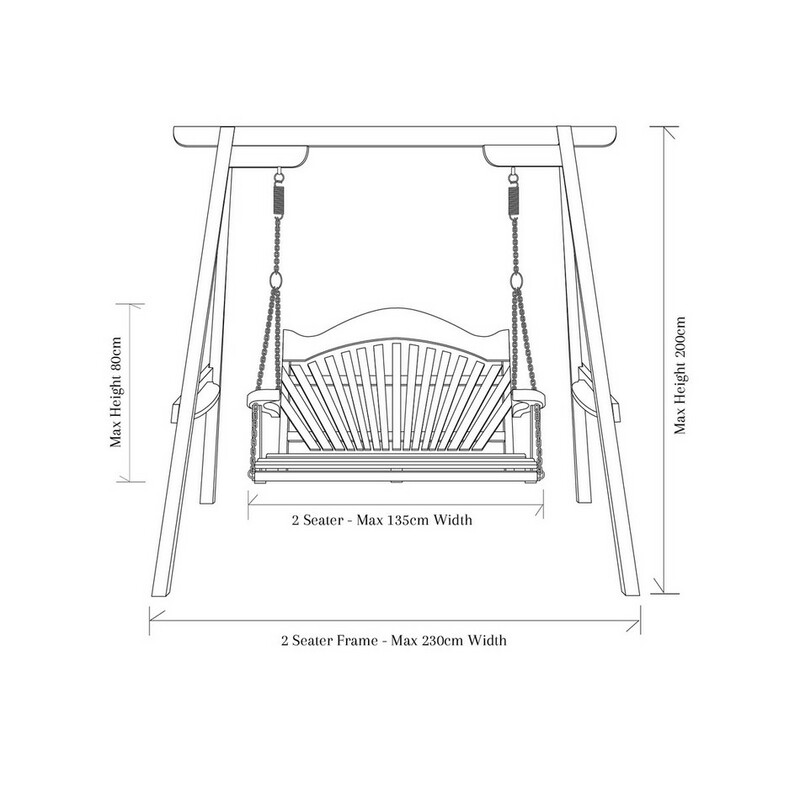 We were really impressed with the way you made the seat in such a way that the balance is absolutely perfect, a gentle push and the seat continues to swing for several minutes. 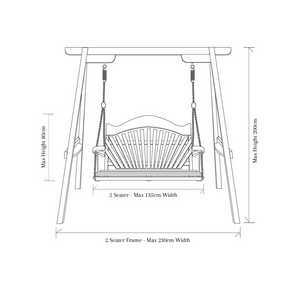 Family and friends have all been very impressed with the seat and we look forward to enjoying many hours "Sitting Spiritually" over the coming years. 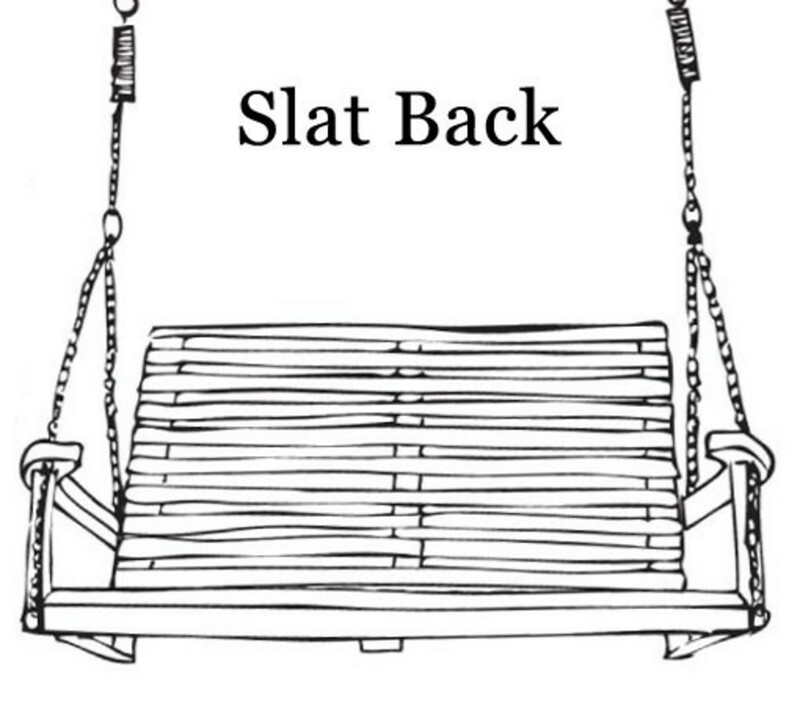 Thank you for making the perfect seat.